Home > Browse > Von heroin kriegt man noch kein AIDS. 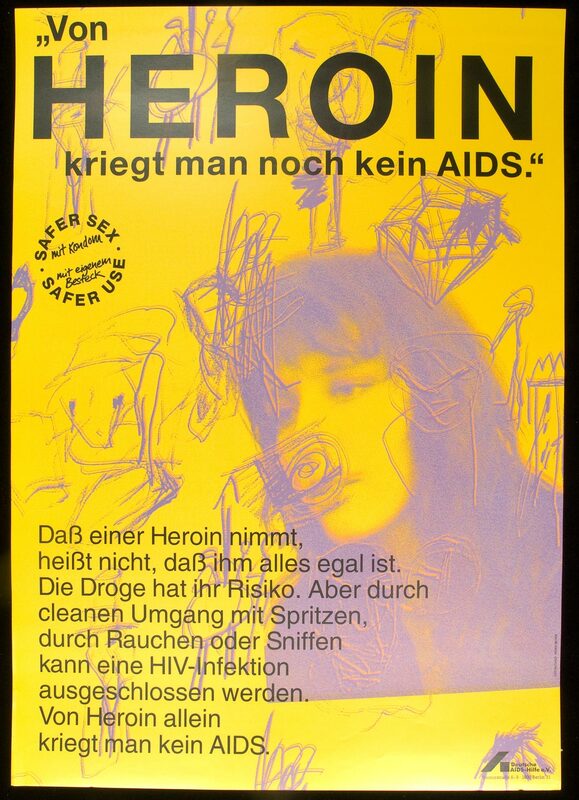 Von heroin kriegt man noch kein AIDS. Drawings in the foreground with a soft focus photograph of a woman in the background.